Apple today announced the appointment of Jony Ive to a newly created position of Chief Design Officer, allowing him to continue overseeing design aspects of numerous projects within the company while turning over the day-to-day management of the design teams to Richard Howarth and Alan Dye, who have both been elevated to vice president positions. Apple CEO Tim Cook announced the changes today in a company-wide email. 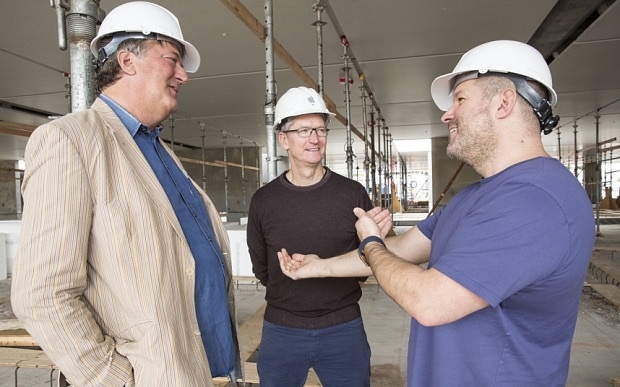 Alongside the announcement, Stephen Fry has published an exclusive interview with Cook and Ive at The Telegraph that addresses the legacy of Steve Jobs at Apple and Ive's continually expanding role with the company, among other topics. That expansion of Ive's duties, which has seen him add user interface design and increase emphasis on retail store and Campus 2 design leadership to his previous position as head of industrial design over the last several years, has led to today's restructuring that will free up some of Ive's time. “Exactly. Those two are as good as it gets. Apple's design team is a small, tight-knit group, many of whom have been working at Apple for many years. Last October, it was revealed Ive's close friend Marc Newson had been officially hired part-time for the design team at Apple, but Newson is not publicly taking on any expanded role in the latest shuffling of responsibilities. he just wanted a title with letters O C and D in it. 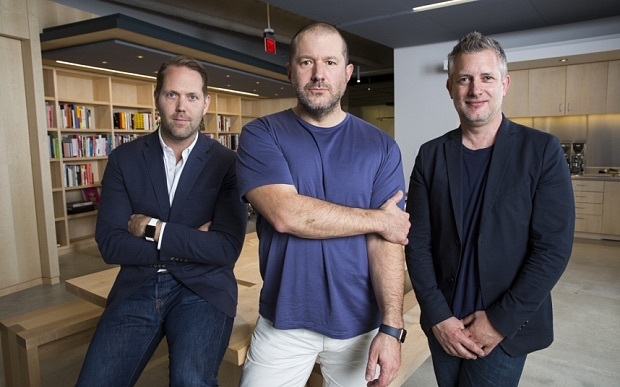 "...Please join me in congratulating these three exceptionally talented designers on their new roles at Apple. Sent from my Surface Pro 3"
Jony's first words as Chief Design Officer: "Make it thinner." I guess this means that Apple isn't happy with the direction iOS 7 and Yosemite went. No idea how you got that from this news. pretty sure this is a start of an retirement strategy. he's tired, he wants to spend more time with family. I guess there's no end to negative posters, even for generally innocuous and slightly upbeat news stories. Whatever this means - whatever Jony has planned, I think some thanks are in order. Thank you Jony for all the years of dedication to your craft. Through your passion for industrial design, the world of technology has become a more connected, prettier, and well thought out place. You've even challenged those who never cared about design into stepping up their own game - and have you have won, Jony. Every tech firm cares about design now - it's their top priority! I don't get how that's better than having been knighted. Apple should have made him Design King. Meaning he now can go back to England and work from home. So basically he's now got Steve Jobs' job. Jobs didn't handle the operational or managerial functions of the company. He handled overall product vision, aesthetics, etc. Tim Cook handled all the unsexy stuff--and he was the best person in the world to do it. They couldn't just ram Ive into this new role following Jobs' passing--though he was likely already doing much of it. The company had to be left in the hands of a single, well-known and capable manager. Now that Cook has kept it together and profits have continued to soar, it's ok to start showing the big picture. The titles may be different, but at this point, Ive is doing what Jobs used to do (and likely did even when Jobs was there) and Cook is doing what he always did behind the scenes. It'll be interesting to see if this means that Ive takes a more public role at keynotes. Training for that part of the role could have been done and might make sense.